The Old Hug from Snow White and the seven dwarfs. I am still afraid of her. I see why, she is pretty creepy. 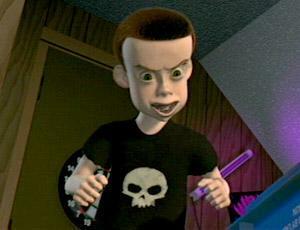 Same with Sid, he's pretty scary.